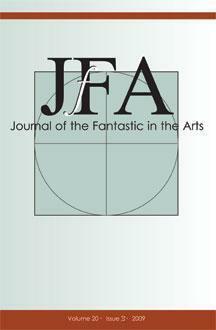 The Journal of the Fantastic in the Arts (JFA), founded in 1990 and published three times a year, is an interdisciplinary journal devoted to the study of the fantastic in Literature, Art, Drama, Film, and Popular Media. The editor is Brian Attebery <jfaeditor AT gmail.com>. The journal welcomes papers on all aspects of the fantastic in English, American, French, Spanish, German, and other national literatures, as well as interdisciplinary approaches including music, philosophy, sociology, psychology, political science, and religion. All papers are in English.